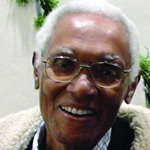 Alfred V. Brown, 84, a violist, violinist, producer, arranger and contractor, died on Nov. 17. He had been a member of Local 802 since 1950. Mr. Brown was a musical trailblazer. He was one of the first African-American students ever to be admitted to the Eastman School of Music. He later graduated from Curtis, and studied with William Primrose and Karen Tuttle. As a studio musician and producer, Mr. Brown’s discography numbers in the hundreds. He won the NARAS Award for Most Valuable Player in 1984. Mr. Brown produced albums by Lena Horne and Ron Carter, as well as the first studio album for singer/songwriter Cris Williamson. He toured with Ray Charles, Paul Simon, Luther Vandross and Barbra Streisand. His played on top TV shows, in Broadway shows, on countless pop and jazz albums, and on many of Spike Lee’s film soundtracks. He contracted musicians for everyone from Hugh Masekela to Britney Spears. He also put together a huge number of orchestras for film scores and TV commercials. Mr. Brown is survived by his sister Alma, nieces Cheryl and Juliette, grandnieces Josephine Ann (Joann) and Amanda, and great-grandniece Tabitha. Edited from an obituary written by Anne H. Pollack. Sarah (Sally) Foster, 73, a harpist and a Local 802 member since 1963, died last Aug. 15. Ms. Foster grew up in Alvin, Texas, where she studied harp with Helen Horton, a student of Alberto Salvi. (Ordinarily, one could not begin harp until fourth grade, but Ms. Foster was so insistent that she was allowed to start in second grade, and a small harp was found so that her feet could reach the pedals.) She studied with Horton through high school, then attended the University of Texas (Austin) for three years before transferring to Juilliard, where she studied with Marcel Grandjany. 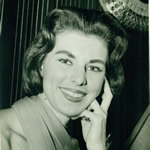 Shortly after her graduation in 1963 she began a decade-long stint with the original production of “The Fantasticks” at the Sullivan Street Theatre. Ms. Foster would spend the rest of her life primarily on and off Broadway, playing for such productions as “Irene” with Debbie Reynolds and “Peter Pan” with Sandy Duncan. Freelance work included various concert series with Liza Minnelli, Sandy Duncan and Barbara Cook, as well as cruise ship gigs on the Queen Elizabeth II. Her career also involved performances with the American Opera Society, the New Jersey Symphony, the Hartford Symphony, Dance Theatre of Harlem, Rhinebeck Playhouse and SUNY New Paltz. She is survived by her husband, French hornist Vincent Schneider, and her son George. Edited from an obituary written by Samuel Milligan. 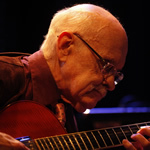 Jim Hall, 83, the jazz guitarist, died on Dec. 10. He had been a Local 802 member since 1958. After earning a degree from the Cleveland Institute of Music, Mr. Hall moved to Los Angeles in the 1950s, where he joined Jimmy Guiffre’s trio and Chico Hamilton’s chamber jazz quartet. He became part of the West Coast cool jazz movement and was known for his understated, melodic lines. He style would later influence guitarists like Pat Metheny and Bill Frisell. By 1960, Mr. Hall had arrived in New York to work with Sonny Rollins and Art Farmer, among others. His live and recorded collaborations with Bill Evans, Paul Desmond, and Ron Carter are legendary. In his career, he also played with Gerry Mulligan, Ben Webster, Lee Konitz, Tommy Flanagan, Ornette Coleman, Red Mitchell and Ella Fitzgerald. He became well known as a bandleader, and led his own trio for over 40 years. In 1997, Mr. Hall won the New York Jazz Critics Circle Award for Best Jazz Composer/Arranger, and in 2004 he was named a Jazz Master by the National Endowment for the Arts. Mr. Hall was actively performing until shortly before his death. In 2012, he played at the Blue Note and at a number of jazz festivals all over the world. As recently as November, his trio performed at Jazz at Lincoln Center’s Allen Room with John Abercrombie and Peter Bernstein. He is survived by his wife Jane and his daughter Devra, who wrote Mr. Hall’s biography on his Web site, at www.JimHallMusic.com. This obituary was excerpted and edited in part from that biography. Additional information came from the Associated Press obituary for Mr. Hall. Also in this issue, see Bill Crow’s tribute to Jim Hall in “The Band Room“. 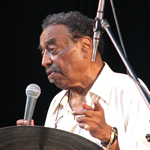 Chico Hamilton, 92, the drummer and bandleader, died on Nov. 25. He had been a member of Local 802 since 1959. Mr. Hamilton got his first professional gig working with Lionel Hampton when he was just 19. Jobs with Count Basie, Charlie Barnet and Jimmy Mundy followed, after serving in the Army during World War II. By 1946, he was the drummer at Billy Berg’s nightclub in Los Angeles. Soon after, he joined Lena Horne’s band, and began seven years of touring Europe during the summers. In 1952, Mr. Hamilton joined Gerry Mulligan’s quartet, which became one of the standard-bearers for the new, smoother cool jazz or West Coast jazz movement, as did Mr. Hamilton’s own quintet which he formed soon after. In fact, Mr. Hamilton’s band became one of the most popular jazz groups; it appeared in the 1957 Burt Lancaster movie “Sweet Smell of Success.” For another movie, Roman Polanski’s “Repulsion,” Mr. Hamilton wrote the music. That decade was perhaps the peak of his popularity, but for the rest of his career, Mr. Hamilton continued to perform, record and teach at the highest levels. For more than 20 years, he taught at the New School jazz program here in NYC. He was awarded the NEA Jazz Masters Award in 2004, and the Kennedy Center Living Legend Award in 2007. At the time of his death, he was still recording and performing. Mr. Hamilton is survived by his daughter Denise, brother Don, a granddaughter and two great-granddaughters. Burt Lee, 101, a multi-woodwind player, died last May 15, 2013. He had been a member of Local 802 since 1935. Born Benjamin Lieberman, Mr. Lee learned to play at a young age. He earned degrees from the City College of New York, and later the Brooklyn Law School. During the 1940s, he formed his own orchestra, Lee Burton Associates, and played numerous corporate and society events. He also taught lessons. By the late 1950s, Mr. Lee reluctantly gave up the music to practice law full time. However, he always retained his loyalty to – and membership in – the union, and he became concerned about the effect of recorded music on employment opportunities for all musicians. He was married for 65 years; his wife, Carolyn, died in 2005. He is survived by his son Arthur, daughter-in-law Nancy, grandchildren Alexander and Kate, great-grandchildren Chloe and Daniel, and sister Mildred. To send a note to the family, please e-mail Arthur_Lee_629@comcast.net. 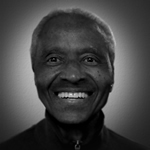 Kermit Moore, 84, the cellist, composer and conductor, died on Nov. 2. He had been a Local 802 member since 1948. Born in Akron, Ohio, Mr. Moore studied at the Cleveland Institute of Music while still in high school. He moved to New York to attend Juilliard, were he studied with Felix Salmond. While in NYC, he played solo recitals, and studied musicology and composition at NYU, from which he eventually earned a master’s degree. Mr. Moore later spent time in France, where he studied at the Paris Conservatoire and took lessons from Nadia Boulanger. During his career, he also studied with Paul Bazelaire, Gregor Piatigorsky, Pablo Casals and Serge Koussevitzky. 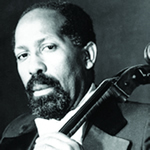 Mr. Moore won the principal cello chair of the Hartford Symphony Orchestra in 1949, and also taught at the Hartt School of Music in Hartford and the Harlem School of the Arts. At various times, he conducted the Brooklyn Philharmonic, the Detroit Symphony, the Berkeley Symphony (in California), and Opera Ebony. He was one of the founders of the Symphony of the New World and also founded the Classical Heritage Ensemble. Mr. Moore was well-known for performing 20th century and contemporary repertoire. He was also a talented composer himself, and wrote soundtracks for two PBS documentaries, among many other works. He backed up many pop and jazz musicians, including McCoy Tyner and Ron Carter, and was a member of the Philip Glass Ensemble. He is survived by his wife, the composer Dorothy Rudd Moore, and his sister, Mary Moore Nelson, a pianist. Robert (Bobby) Charles Thomas, 80, a drummer and a composer, died last Oct. 20. He had been a member of Local 802 since 1958. Mr. Thomas served in the Army Band from 1953 to 1955 before earning a degree from Juilliard in 1961. He went on to enjoy a top musical career, working with Wes Montgomery, Carmen McCrae, Cy Coleman, Charles Aznavour, Jimmy Heath, Herbie Mann, Junior Mance, Gigi Gryce, Ray Charles, Gloria Lynn, Dionne Warwick, Gerry Mulligan, Oliver Jones, Hubert Laws and Billy Taylor. His compositions were recorded by Hubert Laws, Wayne Shorter, Attila Zoller, Dave Pike, Junior Mance and David Frost. In addition to his work in jazz, Mr. Thomas performed on numerous Broadway shows, including “Promises Promises,” “Company,” “Coco,” and “A Chorus Line,” for which he served as the musical coordinator, collaborating closely with Michael Bennett. He also worked on the David Frost television show. Mr. Thomas taught at Rutgers and also the University of Massachusetts “Jazz in July” program. He conducted master classes at universities and other venues around the world. He is survived by his wife Nicole, son Marc, daughter Lorna, son-in-law Eli, daughter-in-law Erin, and grandchildren Mia, Ani, Raia and Zephyr.